It's been over ten years since I took my very first yoga class as a twenty-something in sunny Santa Barbara. At the time, I was attending grad school at UCSB, and my mentor teacher gifted me with a pass to a local studio. I'm so grateful for that introduction! 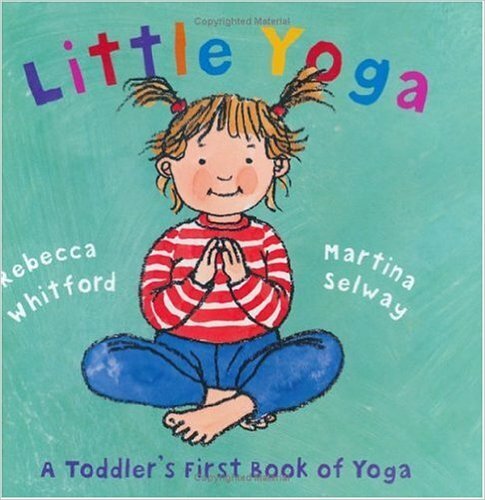 Since then, my yoga practice has taken on various forms - prenatal yoga when I was pregnant with Parker, Mommy and Me yoga when he was a wee-one, and most recently, hot yoga (which I never ever thought I would do, but fell in love with). They are illustrated simply and colorfully, and name each pose after an animal which makes them super kid-friendly. They are available in our book bins at home and Parker will pick them up from time to time and request we do yoga (melt. my. heart.). We were so excited to add The Little Yoga Mat to our yoga time! 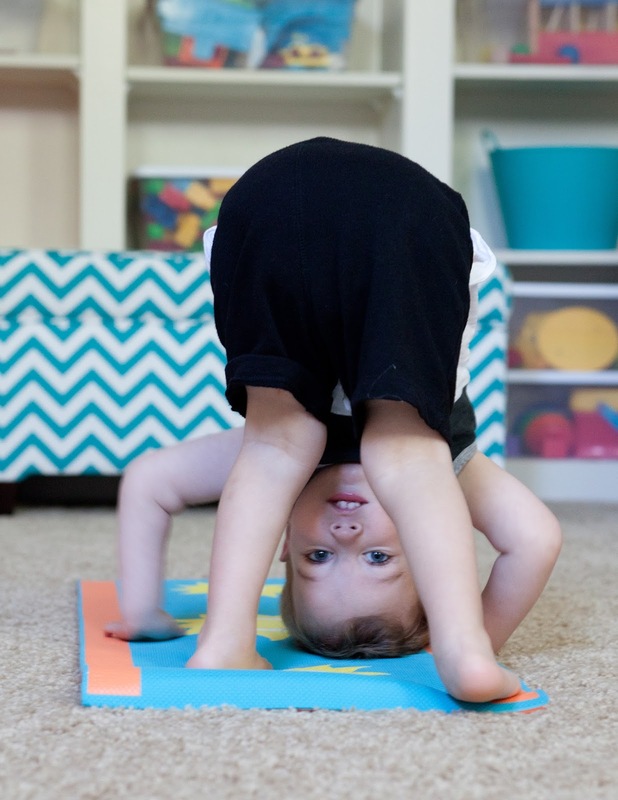 The Little Yoga Mat is made for kids from baby to age four - it's the perfect size for a toddler! I like how it teaches Parker where his personal space is, plus, he gets his very own mat just like Mommy's. 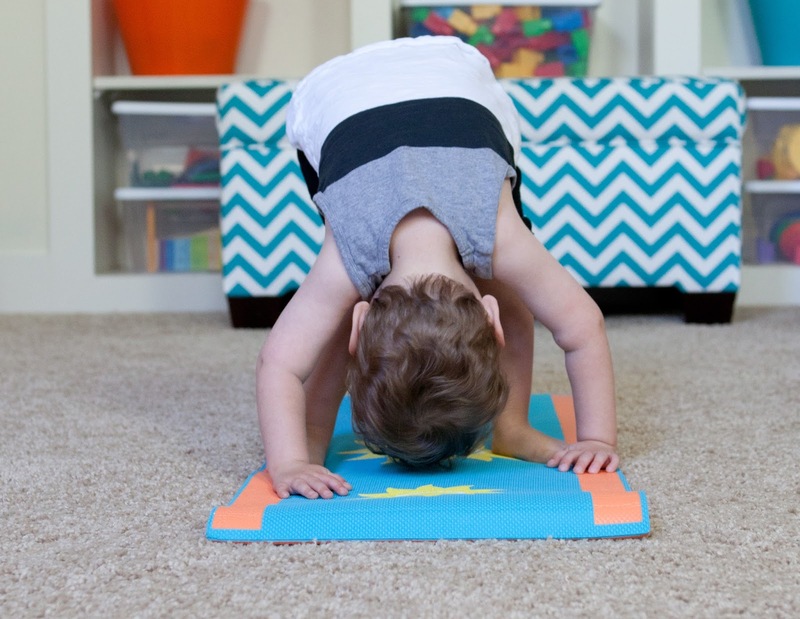 The awesome people over at The Little Yoga Mat want one of you to have a mat as well! To enter the giveaway, just comment below and tell me who your mat would go to! A niece or nephew? Your son or daughter? I can't wait for another little one to have this awesome experience! I'll be choosing the winner at random and posting next Wednesday. My two y.o. 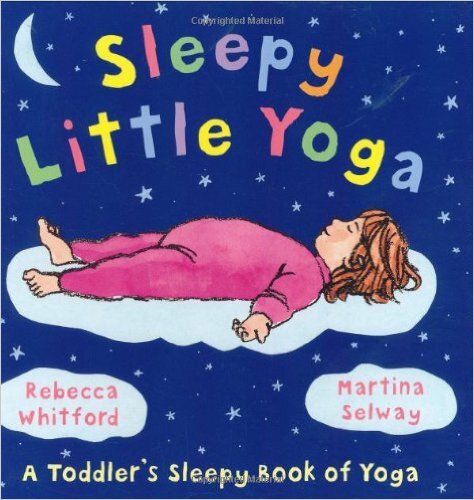 would love a yoga mat in her size so she could be just like mommy. What??? I never knew they made this! So clever! I would definitely get it for my son, and then see about one of these Mommy & Me Yoga classes that I've heard about but am not brave enough to take him to. I love this! 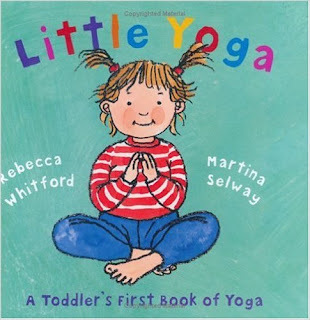 I'm such a sucker for kid's books, too-- love that they are a fun way to introduce yoga to the little ones! Would love for my little guy to have his own yoga mat! I love this! My baby is only three weeks old but I can't wait to teach him all about yoga (and get back on the mat myself!). I would LOVE to win this and gift it to my granddaughter Harper! Her mommy works at Lululemon and loves a good yoga class herself :) I'm sure Harper would love yoga with her mommy! Well of course I would give Ellie the mat if I won. I am picturing the two of us practicing yoga together right now and my heart is melting! I would give the yoga mat to my daughter. I would give the mat to my little Nathan! It would go to a friend of mine. I would love to give this to my nephew. He loves doing yoga with his grampy. Parker's little friend Sammy is starting to do yoga at his preschool and would love his own yoga mat. Please include us in the drawing :-). Charlotte and Posey would be obsessed with this! Just last night we did yoga to "I Am Yoga" - a must to add to your collection. We have to be in the drawing! And who was your awesome mentor in TEP? Mine was Jean Hawthorne but I never got a yoga pass. Though she made up for it in spades with emotional support. Wow the color of it looks so nice and fresg.